Lady's Thistle has been of interest to Western medicine since 1970. 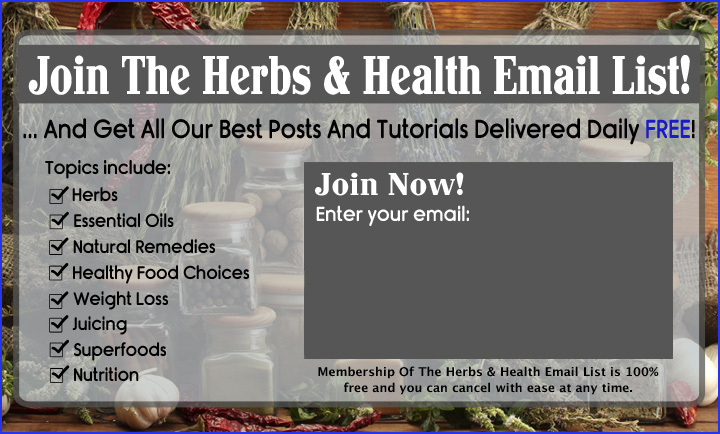 Research into the purported medicinal benefits of Lady's Thistle has revealed that the plant contains pharmacologically active components which might be effective in treating liver complications such as those associated with drug and alcohol addiction, mushroom poisoning, and viral hepatitis. These components--the flavonolignan silibinin and its derivatives--are obtained from the seeds of the plant and have been used clinically to treat liver diseases such as those mentioned above. Lady's Thistle (also referred to as Milk Thistle) has been studied for its potential to treat skin disorders. Research has determined that the plant's active constituent silymarin, (comprised of the bioflavonoids [flavonoligans] silybin, silydianin, and silychristine) is a powerful antioxidant, and thus might have an anti-aging effect on the skin. Various commercial skincare products contain extract of Silybum Marianum (Lady's Thistle). Elizabeth Blackwell's "A Curious Herbal" (1751): 1. The stalks grow to be 4 or 5 foot high, the leaves are a willow green spotted with white, and the flowers purple. 2. It grows frequently upon banks and vorders of fields, and flowers in June. 3. This thistle is esteemd to partake of the virtues of ye Carduus benedictus, but in a low degree. [?] Some commend it as a specific for the pleurisy, especially an Enulsion of the Seeds. It is helpful also for the jaundice, the stone, and stoppage of urine. William Thomas Fernie - "Herbal Simples" (1895): The Carduus marianus (Lady's Thistle), Milk Thistle, or Holy Thistle grows abundantly in waste places, and near gardens throughout the British Isles, but it is not a native plant. The term Carduus, or Cardinal, refers to its spring leaves, and the adjectives "Marianus," "Milk" and "Holy" have been assigned through a tradition that some drops of the Virgin Mary's milk fell on the herb, and became exhibited in the white veins of its leaves. By some persons this Thistle is taken as the emblem of Scotland. Dioscorides said of the Milk Thistle, "the seeds being drunk are a remedy for infants that have their sinews drawn together." He further said: "The root if borne about one doth expel melancholy, and remove all diseases connected therewith." Modern writers do laugh at this: "Let them laugh that win! My opinion is that this is the best remedy that grows against all melancholy diseases." 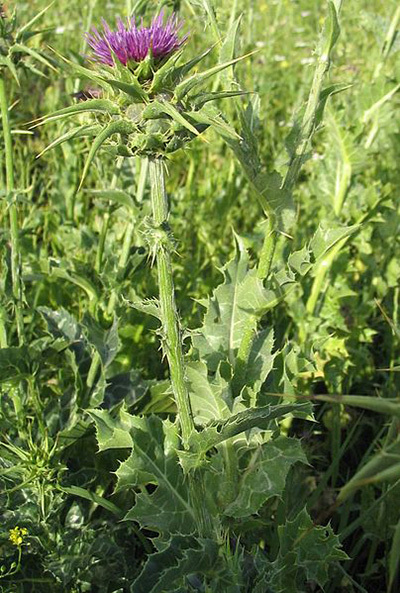 The fruit of the Carduus marianus contains an oily bitter seed: the young leaves in spring may be eaten as a salad; and the young stalks, after being soaked, are excellent boiled, or baked in pies. The seeds were formerly thought to cure hydrophobia. They act as a demulcent in catarrh and pleurisy, being also a favourite food of Goldfinches. A decoction of the seeds when applied externally is said to have proved beneficial in cases of cancer. Or you'll have two instead of one." 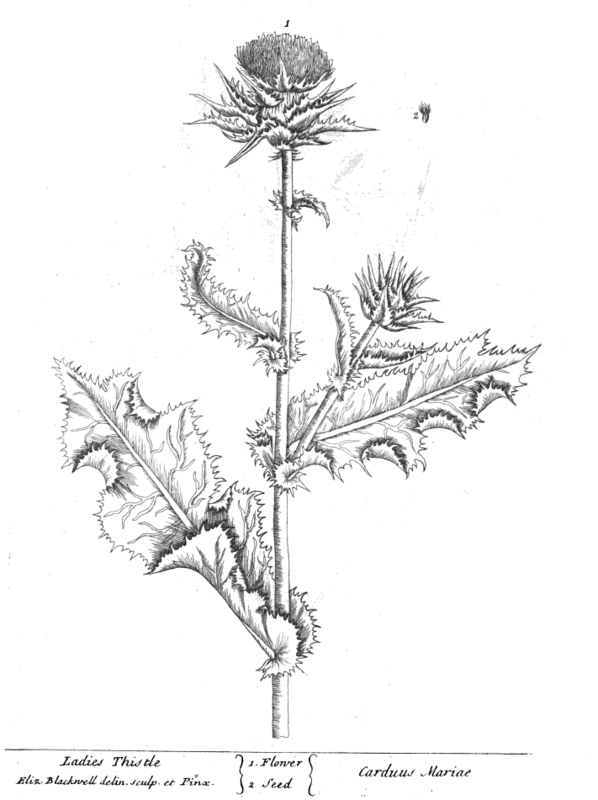 This Milk Thistle (Carduus marianus) is said to be the empirical nostrum, anti-glaireux, of Count Mattaei. "Disarmed of its prickles," says John Evelyn, "and boiled, it is worth esteem, and thought to be a great breeder of milk, and proper diet for women who are nurses." In Germany it is very popular for curing jaundice and kindred biliary derangements. When taken by healthy provers in varying quantities to test its toxic effects the plant has caused distension of the whole abdomen, especially on the right side, with tenderness on pressure over the liver, and with a deficiency of bile in hard knotty stools, the colouring matter of the faeces being found by chemical tests present in the urine: so that a preparation of this Thistle modified in strength, and considerably diluted in dose proves truly homoeopathic to simple obstructive jaundice through inaction of the liver, and readily cures the disorder. A tincture is prepared (H.) for medicinal use from equal parts of the root, and the seeds (with the hull on) together with spirit of wine. Saliou, Claude et al. Selective inhibition of NF--?B activation by the flavonoid hepatoprotector silymarin in HepG2: Evidence for different activating pathways. FEBS Letters. Elsevier. 27 November 1998. Pinnell, Sheldon R. Use of milk thistle extract in skin care compositions. Skinceuticals, Inc. Search USPTO Assignment Database. Patent number: 6524599. Filing date: Jun 29, 2001. Issue date: Feb 25, 2003. Application number: 9/895,970. Current U.S. Classification 424/401; 424/61; 424/70.1. International Classification: A61K/600; A61K/700; A61K/704; A61K/706.